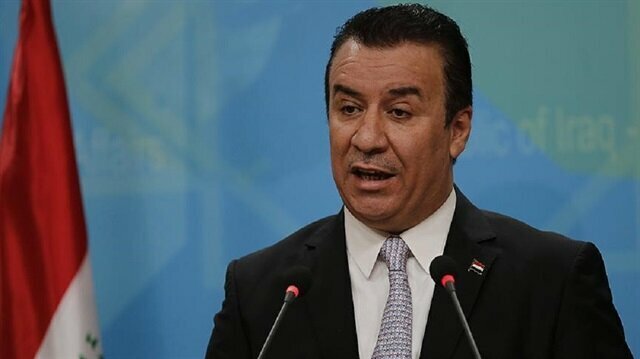 Iraq’s Foreign Ministry on Thursday condemned the re-imposition earlier this week of U.S. sanctions on Iran. In a statement, ministry spokesman Ahmed Mahjoob said his country rejected the use of economic sanctions, of which, he said, the general public tended to be the primary victims. Mahjoob also praised Iran for its continued support for Iraq and for the latter’s ongoing fight against terrorism. Russia would consider it an economic war if the United States imposed a ban on banks or a particular currency, Prime Minister Dmitry Medvedev said on Friday, the TASS state news agency said.US says Russia sanctions to target security-related goods"I would not like to comment on talks about future sanctions, but I can say one thing: If some ban on banks' operations or on the use of one or another currency follows, it would be possible to clearly call it a declaration of economic war," Medvedev said. "And it would be necessary, it would be needed to react to this war economically, politically, or, if needed, by other means. And our American friends need to understand this," he added. “We call on the international community to exert pressure to discourage the U.S. administration from continuing these sanctions,” he said. The spokesman went on to warn of the sanctions’ potentially negative effects “on Iran and the entire region, both in economic and social terms”. On Tuesday, the U.S. re-imposed a first round of economic sanctions on Iran, which mainly target the country’s banking sector. The sanctions are intended to hinder Tehran's acquisition of U.S. currency; its precious metals trade; bank transactions denominated in the Iranian rial; activities related to Iran's sovereign debt; and the country’s automotive sector.